It welcomes 117,000 visitors in 2019. This means many of the Barcelona hotels near Fira Gran Via trade center, where the MWC takes place, are often fully booked during MWC. If you find that most hotels in Barcelona are fully booked, then we suggest that you search for accomodation further from the exhibition areas. There are many hotels in Barcelona which is close to the Fira Gran Via area. Other options are the sea-side resort of Sitges to the south of Barcelona which is well connected to Barcelona and a lovely place to relax after a busy day at MWC. 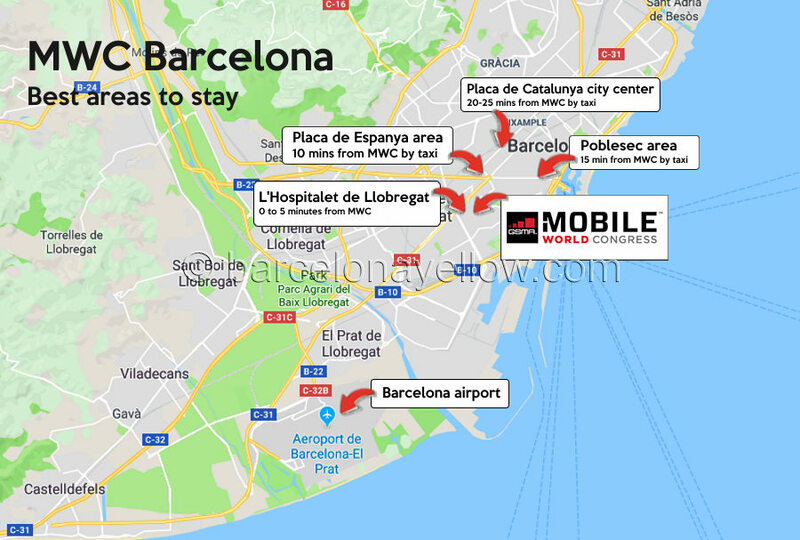 You can also search outside the centre of Barcelona like Badalona just north of Barcelona or Vilanova i la Geltrú but be sure to book hotels near train connections find rooms to suit your needs. 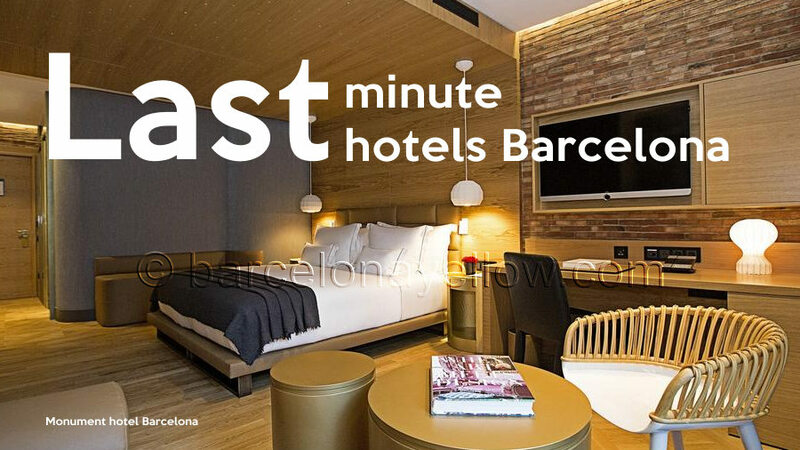 The Barcelona transport system is efficient and safe and the exhibitions areas are well connected, so you can check for last minute hotel bookings in Barcelona by browsing through all available hotels in all greater Barcelona area. Another practical alternative for MWC Mobile Word Congress is to rent an short-stay apartment in Barcelona. Apartments are a popular alternative to hotels which give you more space for meetings and work, more facilities like kitchen and laundry, more privacy and often cheaper rates than hotels.